NC accuses govt of attempts to exercise centralised governance system - Integration Through Media ....! KATHMANDU: Main opposition, Nepali Congress (NC) has blamed that the incumbent federal government was trying to exercise the centralised governance system and shadow other State agencies. In a meeting of the NC’s parliamentary party here on Monday, the major opposition concluded that the government had intended to centralise rights of the executive body against the principle of power balance and decentralisation of power. Informing the media persons of the meeting, NC Chief Whip Bal Krishna Khad shared that the NC assessed that although the constitution empowers governments in all three levels with authority, the central government had introduced many bills with an objective to centralise power. He said that the NC suggested that the government revokes the three bills relating to the rights of the national security council, projects of national priorities and information technology as some points of the bills related to the national security council and national priority projects would vest more power to Prime Minister, while the bill relating to the information technology would infringe on the rights to the freedom of expression. 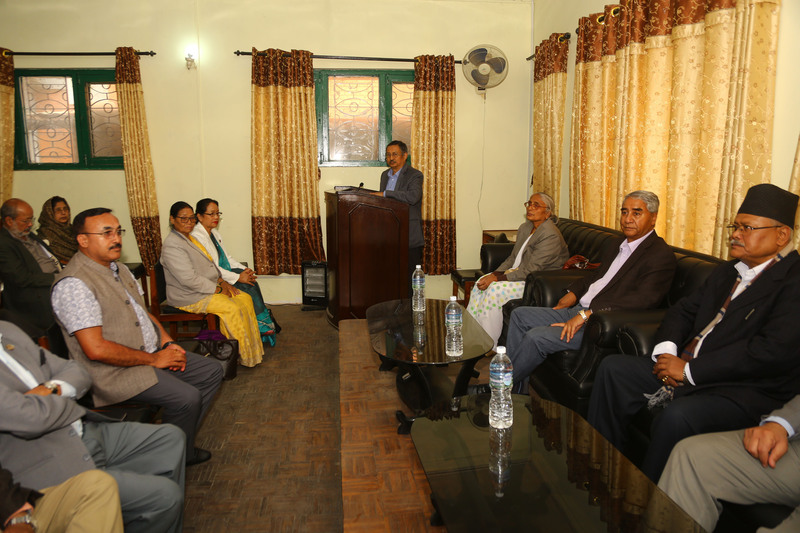 NC President and parliamentary party leader Sher Bahadur Deuba directed his party parliamentarians to play more effective role in the parliament so as to check the arbitrariness of the government.